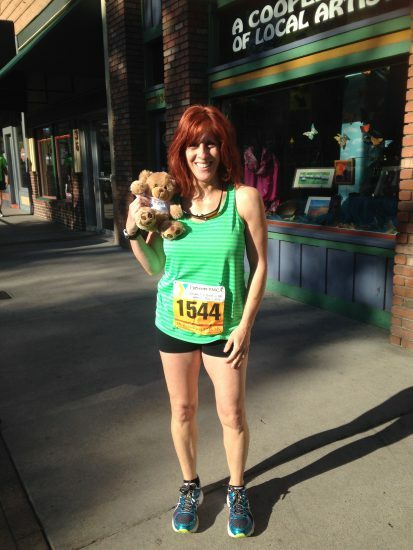 Lisa and Wellby the Yavabear after a Whiskey Row Marathon race. Lisa Miller, BSN, RN, was 19-years-old when she ran her first Whiskey Row Marathon. The Chicago native – who was All-State in track and field during high school – was attending Northern Arizona University (NAU) at the time. Among those first races was the Whiskey Row Marathon. While Lisa has lost count of how many times she has run the Marathon, the race is definitely a favorite. 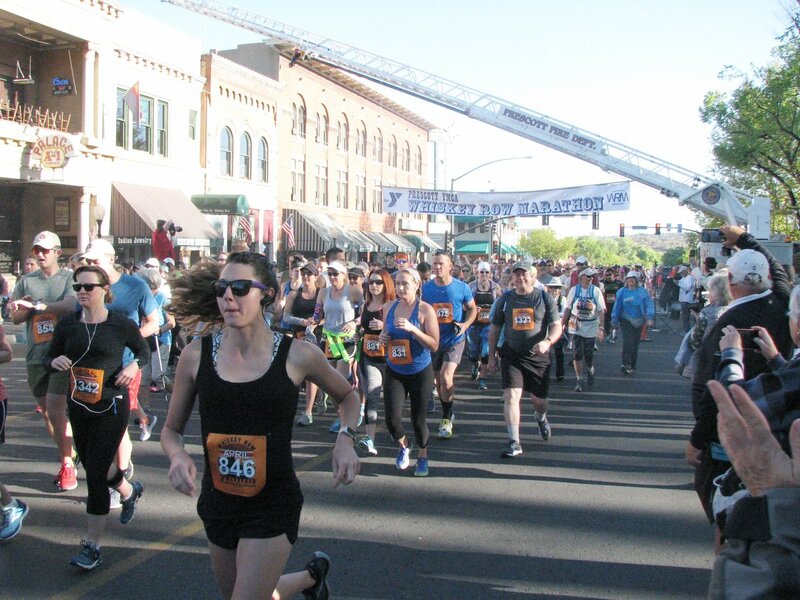 “The Whiskey Row Marathon is so great because it has such a sense of community,” said Lisa, Employee Health and Wellness Nurse, Yavapai Regional Medical Center (YRMC). Lisa is looking forward to running the Marathon’s 10K on Saturday, May 4. The 41st Annual Whiskey Row Marathon is especially important to her because YRMC is the Signature Sponsor. Lisa has become an informal advisor to many YRMC employees who are preparing for Whiskey Row Marathon races. Her credentials are impressive. Lisa qualified for the Boston Marathon in 2002 and has run 10Ks, half-marathons and marathons throughout her adult life. With all of her success as a runner, Lisa has kept only two medals. Q: How much running should you do to be ready for a race? A: It’s important to build a base when you’re preparing for a race. For me, that’s running about 20 to 25 miles a week. Once I have my base, I plan for a long run once a week. I’ll get up to about 10 miles for a 10K, even though a 10K is 6.2 miles. I also do hill training and hill repeats. Q: What can I do to get faster for the race? A: I like to run fast so the last four weeks before a race, I do speed workouts on the track—400s and 200s. It’s like a warm up and a cool down in between to build up my speed. Q: Should I follow a special diet when I’m training for a race? A: I make sure I’m always hydrated and I eat right. Since I’m a vegetarian, the main thing for me is to make sure I have enough complex carbohydrates and calories before a race. Of course, I eat fruits and vegetables. Q: I’m a new runner. What’s the most important thing I need to do? A: Invest in a good pair of running shoes twice a year. Your shoes are really, really crucial. And when you’re new to running, I recommend you buy your shoes at a running store. They will be able to match your running motion – pronation or supination – to the best shoe for you. Lisa also recommends running on the great trails around Prescott and Prescott Valley as a way to connect with nature. She also likes to run with a friend, which she will be doing with all of her YRMC colleagues on May 4. Visit the official Whiskey Row Marathon website. Find the Whiskey Row Marathon on Facebook and Instagram. Contact Rachele Skvarek, Whiskey Row Marathon Race Director at (928) 445-7221, ext. 217. I read this article and found it very interesting, thought it might be something for you. 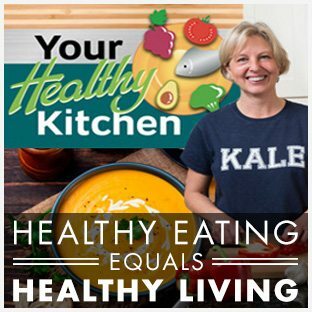 The article is called Lisa Miller: Keeping Life on Track with Running and is located at https://yrmchealthconnect.org/lisa-miller-keeping-life-on-track-with-running/.